This week down Brit Grit Alley, I have a guest column from Chris Black of hot new Brit Grit publisher Number Thirteen Press. The idea was simple. 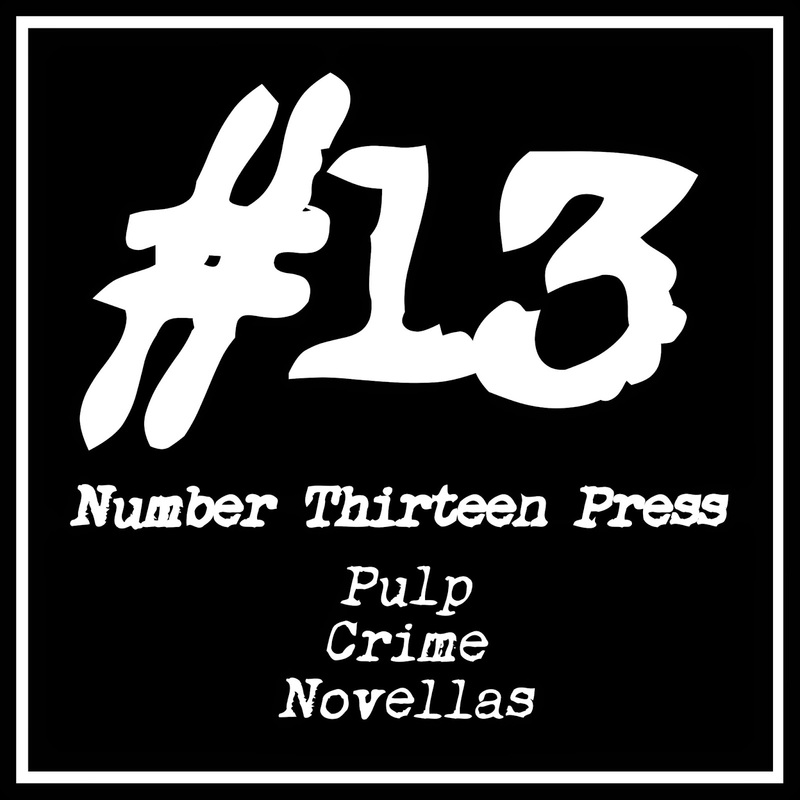 Number Thirteen Press – 13 pulp crime novellas, publishing on the 13th of each month for 13 consecutive months. This brings up a number of questions, of course. Principally, why the hell am I doing this? Why pulp? Look back at original pulp culture and it included a huge diversity of styles and genres. And with the rise of e-publishing – cheap production to a mass market – pulp fiction is back with a bang. Pulp doesn’t just mean that anything is possible in fiction but that nothing is impossible. No restrictions. It doesn’t have to include anything, it’s just that it could include anything. Basically, pulp is as much about the publishing as the story, and it means nothing is forbidden. Why crime? My definition of crime is pretty loose: crossing lines. I have a theory about noir, that it is not a genre of crime but a wider genre of transgression. It might be moral or ethical, personal or social, but it is the transgression that gets to the core of the story. On the other hand, crime also includes legal transgressions: heist stories, straight thrillers, pulp thrillers, gangster stories, Brit grit and a ton of other styles. All are welcome at Number Thirteen. The net of crime fiction is very, very broad, and as crime readers have always known and the rest of the world is just catching up on: it’s the genre that most often (sorry sci-fi fans) mixes high literature with entertainment. Even when it’s pulpy. And why novellas? This is where we get to the meat of the matter. The novella (or short novel: the boundary between the two is rather blurry) was essential in the development of noir and crime fiction. Think Chandler’s novellas, combined to novel length. Or They Shoot Horses Don’t They?, The Postman Always Rings Twice, and Double Indemnity; all essential early noir texts and all novellas (around 45,000 words or less). It’s such a perfect length; a novelette is like a long short story, but a novella is a novel stripped to the essentials, focused entirely on the core of the narrative. As publishing developed, novellas became un-economical. Paperback original hacks (and I use the term lovingly) trained themselves to write dead on 60,000 words every time, but these days some legacy publishers will reject a 60,000 word novel on length. Since the 1970s it just isn't economical and it takes a ballsy press (or someone who isn't in it for the money) to publish anything under 60k – more common from small literary presses than genre publishers. At the same time I read books – good books by authors I really respect – of around 65,000 to 75,000 words, and I think: It’s good. It’s really good. But it could stand to lose 10%-20%. Novels have been fattened up (beyond the natural fit for an author’s style) and too many seem excessively bloated as a result. As Ian McEwan noted recently, few novels earn their length these days. You couldn’t say that about Gold Medal. With the rise of e-publishing length becomes no issue. It’s no longer a choice between short stories and doorstoppers. Publishers like Blasted Heath, Snubnose Press and New Pulp Press (and plenty more) are doing great things at shorter lengths, and it’s about time. The novella and short novels (NTP considers submissions from about 18k to 60k words) have been neglected for too long. So I looked around at the new publishing landscape, and I liked it. Lots of great writing, lots of great writers and stories getting a chance that they wouldn't have got 20 years ago. Nobody was doing exactly what I would do, given the chance. I waited until everything was exactly right and that didn’t happen so I went ahead anyway. And why 13? Well, I wanted one book per month. To keep the press ticking over constantly, but without being overwhelmed. To keep readers interested and hopefully coming back regularly. And what date is convenient each month? Avoiding major holidays like Christmas, New Year and the 4th of July, in the middle of the month we have the magic number 13. Memorable, significant. And I remembered David Goodis’s Black Friday, about Friday the 13th and how some people carry that kind of luck with them all the time (as quoted on the Press homepage) and that seemed to be a good summation of some kinds of noir, my favourite crime genre. It also gives a cut-off point. After 13 months I may be losing money, or too busy to continue. I may take a break, or finish, or press right on with a second list of 13. It gives me the freedom to quit or continue without pressure. But it also gives me the impetus to see it through to the end and not fade away as can happen with small internet-based companies. Or maybe not. Either way, at least the authors and I can say we gave it a shot. Hopefully, along the way, people will read and be entertained by short, punchy, powerful crime fiction. And that’s worth something. Many thanks to Paul for allowing me to share and thanks to everybody who has supported the Press in its long journey to the beginning. 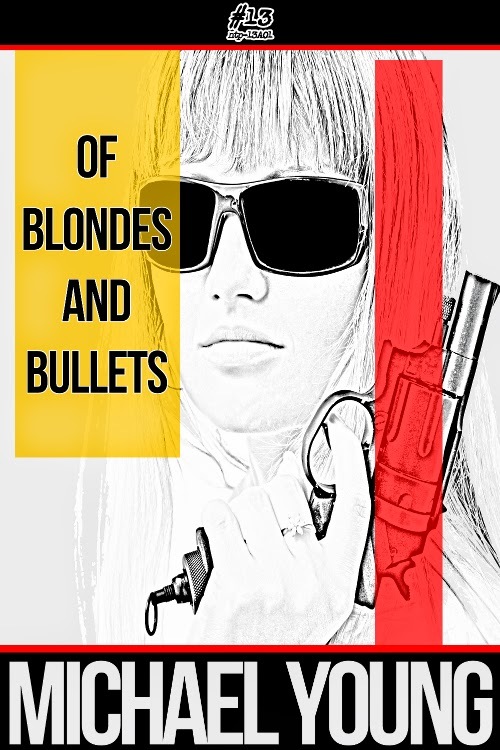 Of Blondes and Bulletsis out now. Down Among the Dead is due out on 13th of December.